All of us have our own hobbies. These hobbies are for sure related to the things that we enjoy doing. The hobbies that we choose all depend on our interests, character, skills, and personalities. Usually a hobby is done when we have some spare time. There are many different reasons why each individual has a hobby. Some people find it to be stress reliever. They make it as a reason to wake up each day with a big smile on their faces. Others consider their hobbies to be an outlet for them to express how they feel or let the world know the message that they want to convey. They use it to make their lives more colorful and meaningful. Nowadays, there are hundreds of people from all walks of life, young and old, students and professionals that are turning their hobbies into small business and giving them the chance to earn money. Yes, you have read it right. I know several colleagues who are now running successful small businesses that started out from a simple hobby. Their business was tickled into life when some of their friends noticed their works of arts and begun placing orders. Several success stories have been said about bakery owners who were making cakes and pastries for the love of baking. Due to positive response from close friends and families, that simple baking has turned into profitable business, creating chains of bakeshops. Maybe you have already heard of the stories about popular photographers in your local area who were just taking photos of panoramic views as a hobby, then out of the blue, their special skills in the field of photography paved way for their success when someone in their circle of contacts asked them to cover their special events such as weddings, birthdays or graduation parties. Not only in baking and photography can you find passions getting developed from hobbies into businesses. 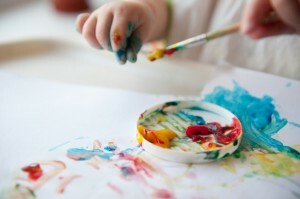 Different passions in different endeavors like cooking, scrapbooking, painting, the collecting of items from common to unique ones have known to be a good source of income when these hobbies are converted into small businesses. Didn’t you know that even your hobby in sports could now be turned into cash? If you have a special skill in swimming, you can offer lessons to interested students or out-of-school youth during summer vacation. There are swimming pools that you can rent per session to hold your class. Who knows, one of those that you will be training may be the next Michael Phelps, an American swimmer who brought home six gold and two bronze in 2004 (Athens Olympics) and eight gold in 2008 (Beijing Olympics), becoming the most victorious athlete at both of these editions of Olympic Games. How about your hobby in boxing? You can maybe help coach the next Manny Pacquiao (Fighter of the Decade for the 2000s by the Boxing Writers Association of America), a professional Filipino boxer. Commonly known as “The Pacman”, he is the first eight-division world champion as well as the first to win the lineal championship in four different weight classes. If you are also into basketball, you can hold hoop clinics every weekend and monetize your Michael Jordan or Kobe Bryant style of playing. Football enthusiasts would also love to enroll in your ball skills workshops if you have a good background of this popular game. Translating a hobby into money-making small business is not as hard as it might appear. After all, you already have the technical know-how since it is your passion and you are fond of doing it. However, it would also require lots of efforts in order for the business aspect to become successful and you cannot do it overnight. Embrace the art of managing a small business and you will surely be on your way to success. Hobby plus enterprising mind would mean cash. Isn’t it great to get paid for doing a hobby that you enjoy much? It’s about time then to turn your hobbies into small business. I have coached many people on this subject. So many of them didn’t realize that they could make money doing something they already do and are good at. I always remind them to step beck once in a while so they don’t start to dislike the hobby that they originally started with. Another way to launch a small business out of your hobby is to partner with someone who already has some experience in business especially if you’re thinking of selling and/or offering services online. You might be able to find someone with the technical abilities that you lack or the marketing and advertising skills that would help you find prospective customers. I think that would be an ideal situation. It is an ideal solution, but sometimes equity share businesses are quite troublesome in their own rights. Sometimes one or the other party doesn’t pull their weight and the whole 50 50 collaboration falls apart at the seams. Not saying it *can’t* work, but it definitely comes with some extra complexity!